Commercial Feature is a Business Standard Digital Marketing Initiative. The Editorial/Content team at Business Standard has not contributed to writing or editing these articles. Rising awareness about health & fitness and changing lifestyle are driving the Indian nutraceuticals market, which is likely to cross $ 6.1 billion by 2020 from the current level of $ 2.8 billion growing at compound annual growth rate (CAGR) of about 17 percent, according to a new study jointly conducted by Assocham and RNCOS, a market research firm. While penetration of nutraceuticals in urban India is around 22 percent, in rural it is as low as 6 percent due to lack of awareness. “For faster growth of the domestic market, both private players and government should create awareness about the health benefits of nutraceuticals among masses through campaigns, social media and television. All products, before reaching the market should go through rigorous testing and it should not be compromised at any cost. An exponential growth has been noticed the number of food testing labs in India,” said the report. At present, India does not have any kind of regulatory guidelines for the approval or monitoring of the products under this segment. In the absence of regulations, the products take much longer to reach the market. For industry growth, it is utmost necessary to give faster approvals for eligible nutraceuticals, noted D S Rawat, secretary general, ASSOCHAM. “FSSAI should come up with properly framed guidelines related to manufacturing, storage, packaging & labelling, distribution, sales, claims and imports. This will bring clarity to the industry stakeholders and they can invest into the industry with no fear of counterfeiting,” said Rawat. The study has also suggested that the government should provide special incentives and subsidies to emerging companies for the growth of the industry. The funding will help companies to use improved process technology and come up with quality nutraceuticals. 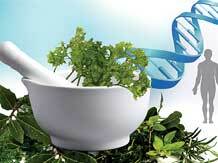 “Financial support will also help Indian talent to innovate cost effective nutraceuticals. The products available in the market are majorly targeted to upper-middle class leaving a vast potential. To catch the masses, nutraceuticals for all should be the target concept,” added the report. Although the Indian nutraceuticals market is growing is at rapid pace, it only accounts for around 1.5 percent of the global market, which is expected to cross $ 262.9 billion by 2020 from the current level of $ 182.6 billion growing at compound annual growth rate (CAGR) of about 8 percent, noted the ASSOCHAM-RNCOS study. US has the largest market for nutraceuticals, followed by Asia-Pacific and European Union. Functional food is the fastest growing segment in the US nutraceuticals market. Germany, France, UK and Italy are the major markets in the European Union for nutraceuticals. Japan (14 percent) is the major consumer of nutraceuticals in Asia-Pacific, followed by China (10 percent). The global nutraceuticals market is expected to cross $ 262.9 billion by 2020 from the current level of $ 182.6 billion, says a ASSOCHAM-RNCOS study Rising awareness about health & fitness and changing lifestyle are driving the Indian nutraceuticals market, which is likely to cross $ 6.1 billion by 2020 from the current level of $ 2.8 billion growing at compound annual growth rate (CAGR) of about 17 percent, according to a new study jointly conducted by Assocham and RNCOS, a market research firm.